Indian virgin straight human hair wigs from hair products factory.this is a human hair front lace wig,soft silky straight 100 percent human hair lace wig,quick shipment,wholesale best price.orders will be sent from factory directly. 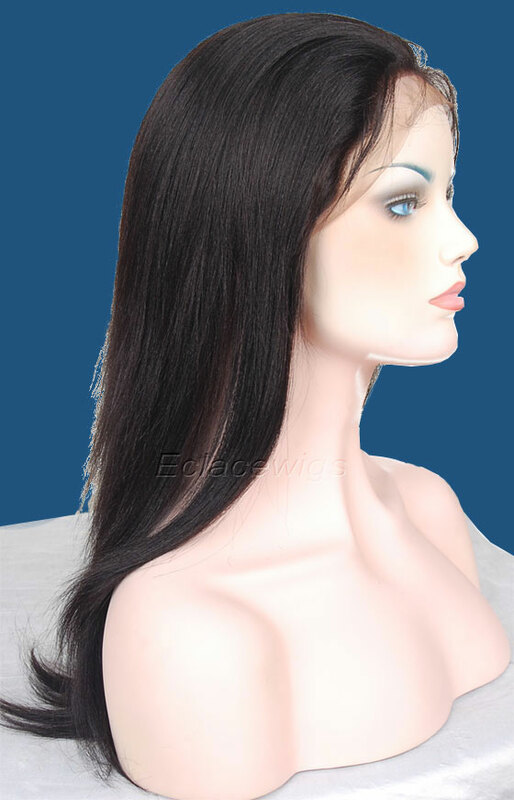 This is a silky straight front lace wig made with high quality virgin Indian human hair cuticle attached, it will give you a look that is sleek and sophisticated. The hair is soft and silky, flows beautifully. 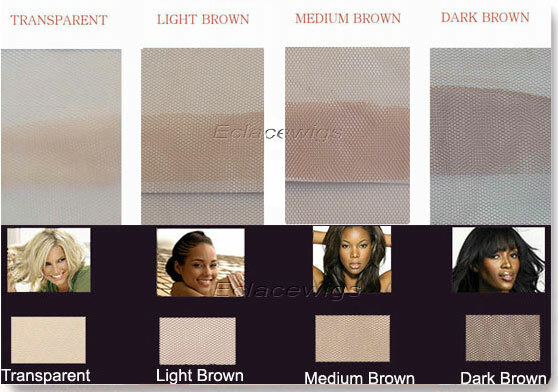 Indian human hair lace front wigs:natural color,#1,1b,#2,#4 are available. 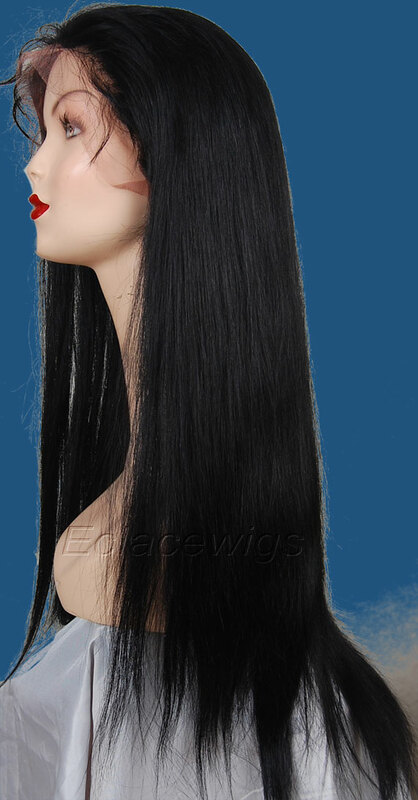 It is 120% density lace front wigs in stock,please contact us when need 130,150,180 density. Please don't hesitate to contact us if you want to do real and great business We can assure you of our close cooperation! Slightly bleached knots on the front hairline,only color 1 can't be bleached.knots can't be bleached too heavy,pre-plucked natural hairline. Choose the exact length desired! Please Note: We listed all of the items that we have in stock, so if you don't see what you are looking for,we can make as per your request. You can get just the unit that you are looking for. 1,Buyer can exchange or return lace front wig in one week,we can repair for free in one month.Please view the item description and pictures carefully and ask any questions that you have prior to making any purchase. We strive to represent all our items in a honest and accurate way, and we are sure that you will happy with our service and products! 3.We only accept return by EMS,USPS or other postal office serive pacakges,other fast shipping package is very expensive very difficult to pass our local custom! !